Dave Brown founded Holiday Matinee after agreeing to be the publicist for his friends in Jimmy Eat World--without even known what a publicist did. After a two-year hiatus from the company, during which he worked for social media startup VMIX, Brown has put his energy--and full-time hours--back into Holiday Matinee, recreating it as a place that "promotes creativity." The first iteration of Holiday Matinee was as a PR, marketing, and branding company--with whatever else clients called up for tossed in, too. It started when Brown and Jimmy Eat World lead singer Jim Adkins designed the band's album cover together and Capital Records called to ask if Brown knew of a publicist. Without pausing, he said, "Yeah, I do that too." In 2006, Brown put Holiday Matinee on hold to work with social media startup VMIX. He decided to leave the company in 2008 to do what he was really passionate about: finding and sharing stories about creative people doing good work for the better good. 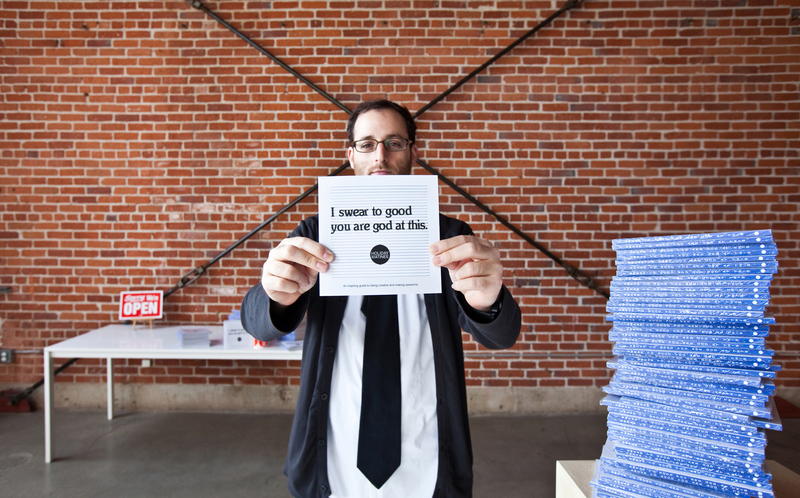 Brown's first book, I Swear to Good You Are God at This, a compilation of 25 people and projects "making awesome," was published earlier this year. Associate editor Miyoko Ohtake sat down with Brown last week to chat about what else he's up to. Before you took a break from Holiday Matinee, the company was a PR, marketing, branding, do-it-all organization--and having a bit of an identity crisis of its own. What is Holiday Matinee now? We're a company that promotes creativity. The focus is on the website as a creative blog. The goal is to turn people on to creative things, showcase people doing good design, start a dialogue. You're also developing products, like the book. Are there more in the works? There's the Artist Series of t-shirts, which encompass two things I love: a decent person and a graphic t-shirt. I always take notice of companies that donate one percent to charity. I wanted to take it 99 percent further and donate 100 percent. We started a year ago with three different artists--Nikki Farquharson, Evan Melnyk, and L.A. design firm Ashkahn--and asked them to donate one shirt design. We screen the designs ourselves onto 100-percent organic shirts made in the U.S. and sell them online for $20. All $20 goes to Plant-It 2020. For every dollar donated, the non-profit plants, maintains, and protects one tree. We've helped plant over 1,000 trees so far, which is like a mini forest. We're going to launch new designs with a new charity this month. A friend of mine teaches at the High Tech High Media Arts Center in San Diego, and I asked if I could work with his class. I went twice a week for about a month and worked with the students on this project, asking them each to create a design using one color and themed around "the future." We got 50 designs from the 50 students and will print and sell one from each class, with the money going back to support the school. I'm working with Mike Giles at Furni, a furniture shop based in Montreal whose forte is working with wood. We may do a clock with a built-in music player with them. 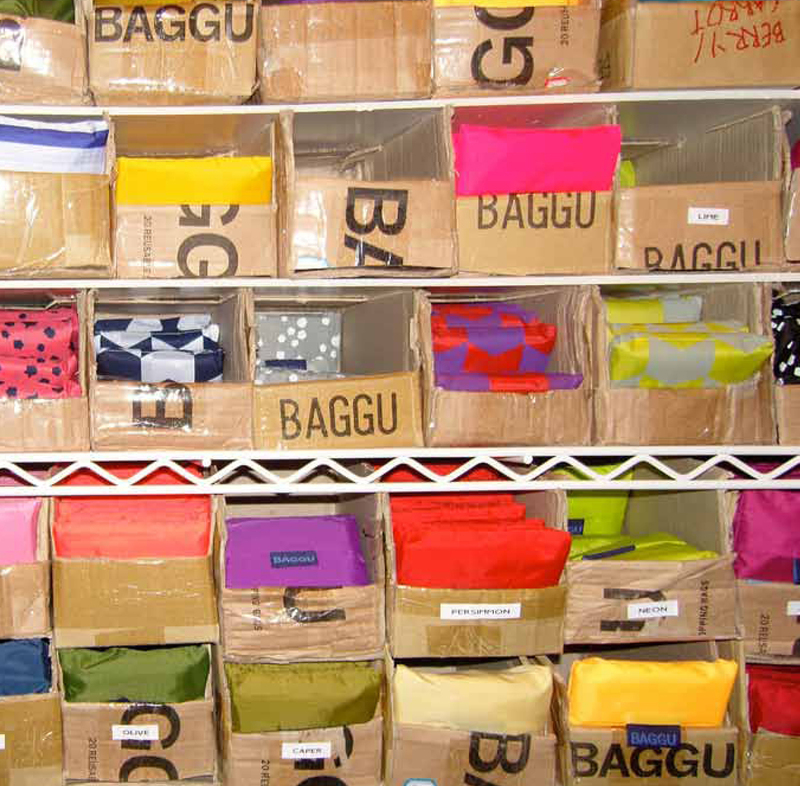 We're also going to do a collaboration with Baggu, a company featured in the book. I'm really interested in pillowcases and sheets, too. Will these be associated with a charity as well? There will definitely be a give-back element to all of them. We're launching a web series in April. It's a passion project of mine, a documentary series about my 90-year-old friend Kumar Pallana. We met years and years ago. I knew nothing about him except that he always had cameos in Wes Anderson's movies but then he told me stories about walking with Gandhi and performing as a juggler and plate spinner in the 40s and 50s. We took him back on the road for the series. It's a warm, heartfelt story but also very funny. I'd love to. I want to make it into a series. I was so inspired by all the people I was meeting and reading about. You featured 25 people and programs that you thought are "making awesome" in the first book. Were there others that didn't make the list? I went to Palm Springs to write it and had a loose list of people and projects to include and narrowed it down from there. One that didn't make it was Tweenbots. It's a cardboard robot that is really simplistic but beautiful. It was put in the middle of Washington Square Park in New York City with a flag that had instructions for where it wanted to go. The robot only went forward so people would have to help it on its way by turning it to go in the right direction. It was a social experiment: Would you help a lost robot? Furni was another. They way they approach design is really organic and they have such an attention to detail and craftsmanship. The Hive, where are offices are, is a great co-working space, which we actually did include. There are 35 entrepreneurs there. We host events. It's great.